Within the 2018-2019 Toastmasters year, earn any unique combination of (3) of the (6) awards listed below. 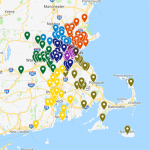 Awards must be submitted by a club officer through Club Central between July 1, 2018 and June 30, 2019. You will be contacted once you earn the award to arrange to receive it. 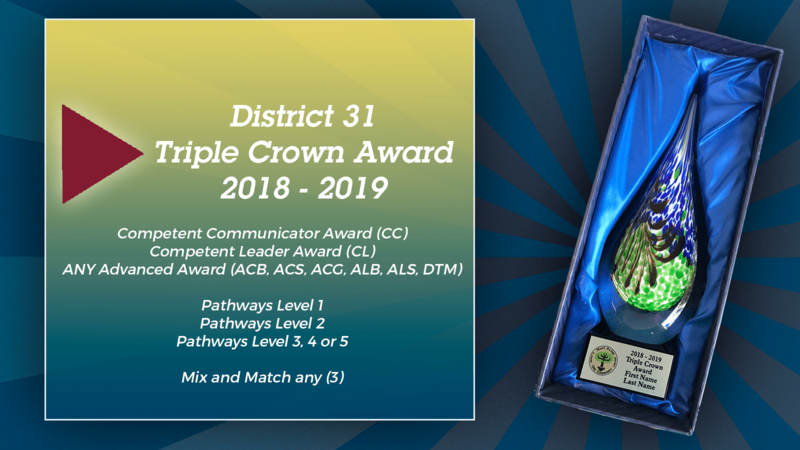 If you want to see your name listed on the dashboards page, check International’s Triple Crown list – note the requirements for International allow any 3 awards, which differs from the District’s definition.